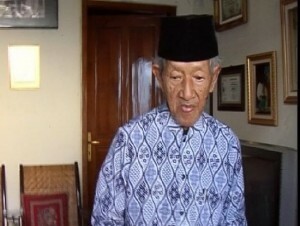 The art world are mourning Indesia, Maestro Kroncong Gesang last breath at the age of 92 years Thursday (20 / 5) at 18:10 pm. Gesang previously treated in the Eden space PKU Muhammadiyah Hospital in Solo. Starting Sunday (16 / 5) was transferred to the ICU because the pain got worse. Maestro keroncong Martohartono Gesang (1992) until Thursday (20 / 5) 13:00 o'clock am still being treated in the Intensive Care Unit of PKU Muhammadiyah Hospital in Solo. "Mr. Gesang Conditions are better now, been able to speak and can understand anyone who comes to visit her, than when it entered the ICU on Sunday (16 / 5), which at that time had not passed out. But until now there is no certainty of treating doctor to return to normal treatment room, "Hasanuddin said Santosa, nephew Gesang in the ICU room, Thursday afternoon. Gesang who were treated in the ICU PKU Muhammadiyah Hospital, on Thursday (20 / 5) had dijenguk by elementary school children (SD) Yosodipuro, Solo teacher Siti led Markamah. The elementary students also perform the prayer at the entrance to the ICU where Gesang treated, which requested that the Maestro keroncong can recover quickly and after that also gives the picture a poster given to Yani Effendi Gesang, nephew Gesang. Gesang hospitalized handled surgeon Dr Suryo penyakt in Aribowo, Prof. dr Suradi (lung specialist), Dr. Suharto (urologist), Dr. Anik Rusnani (neurologist) and Dr. Trisula (cardiologist). From the results of diagnostic physician team, he added, declining drastically Gesang health conditions that affected the three factors, namely lack of food intake, history of complications of the illness for a long time, other factors also an advanced age. Before entering the RSU PKU Muhmmadiyah, added Prof. dr Suradi who is also Deputy Director of the PKU Muhammadiyah Hospital, on Wednesday (12 / 5) Gesang did have major health problems in old age is always getting the supervision of a physician on a regular basis, including the prostate gland disorder and weak heart. Later Gesang also experience urinary tract infections and respiratory infections, while the crocodile was also reluctant to eat keroncong occasionally followed by nausea and vomiting, to the drastic decline of health conditions. Based on the latest news about the Solo songs are in the claims by four people from the Dutch state as the Solo songwriter. The Maestro has Gesang Martohartono bequeath to this country song. 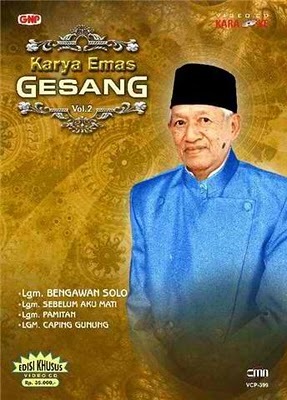 Perjuangkanlah spirit of Mr. Gesang with beliaulah continue to voice that the creator of the song.